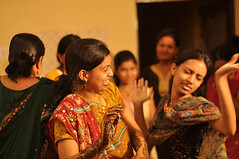 Oriya marriage is one of the integral parts of the Oriya culture originating in the state of Orissa. 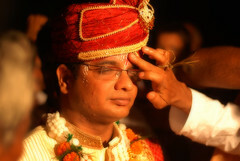 The wedding ceremony and rituals are very similar to those of the Hindu marriage ceremony but are definitely different in many aspects. 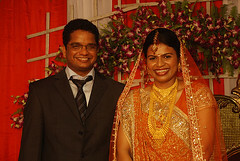 Their culture of simple living is very much reflected in their marriage rituals. 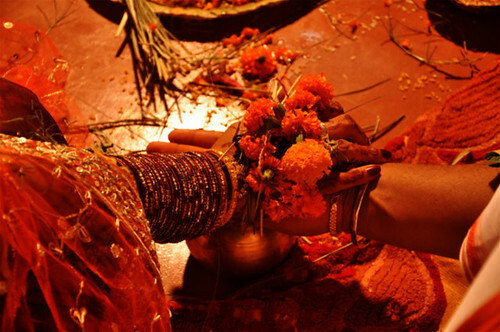 However, the interesting fact about an Oriya wedding remains in the fact that the mother of the groom does not take part in the ceremony. The Oriya Brahmins have their weddings only in the daytime, preferably mornings, while the non-Brahmin weddings are in the evening or night. ~ by peeveeads on July 8, 2009.